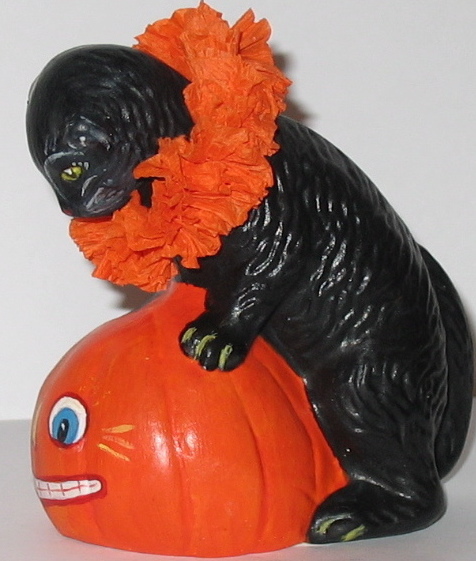 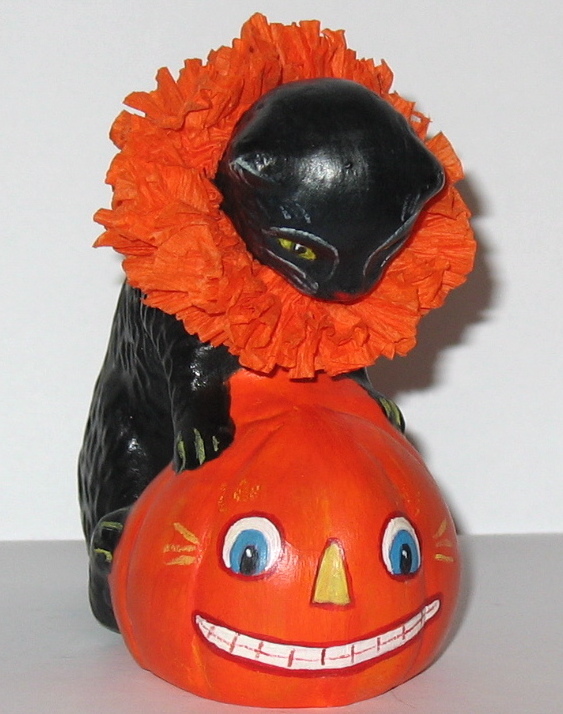 A unique hand crafted Halloween Cat with a Jack O' Lantern. 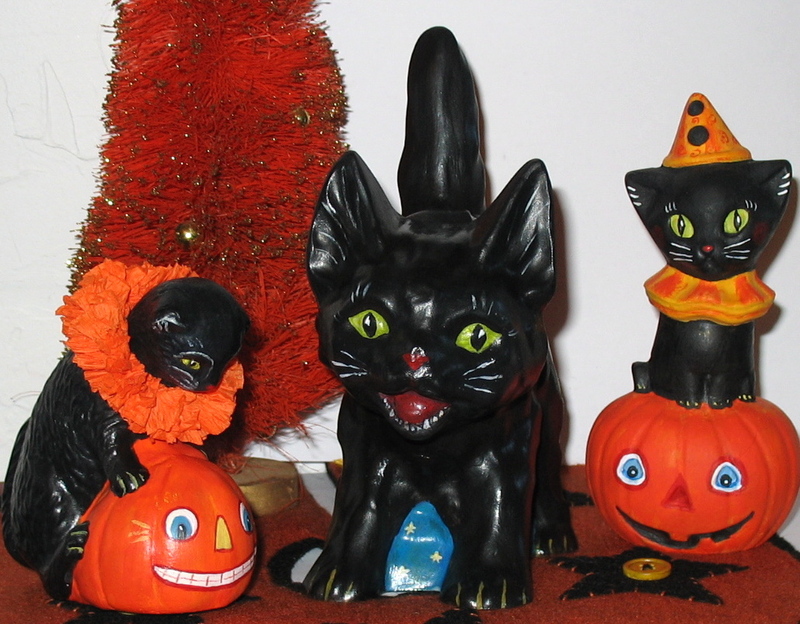 This wonderful figure was inspired by Antique German paper mache folk art candy containers and lanterns, The Halloween Cat holding JOL was handcrafted using an antique chocolate mold. 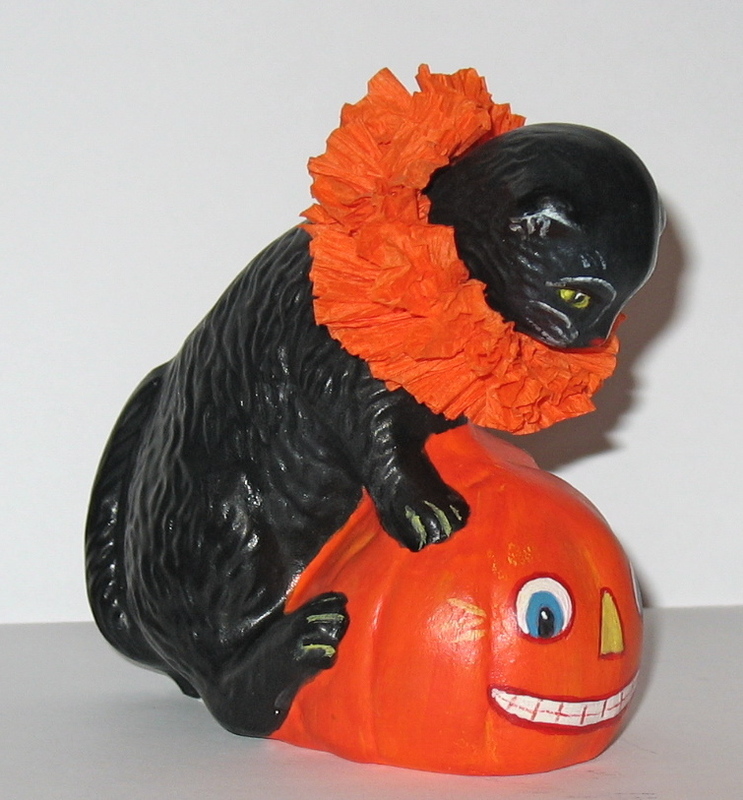 This absolutely charming Halloween figure, measuring 4 1/2 inches by 4 inches, is signed "Bittersweet House Folk Art, K. Campbell".